It is a truth universally accepted that the job of a teacher is never done. Trying to get to a stage where there is absolutely nothing more you could do for your students, your department or your school is an exercise in futility. If you let it, school work will seep into all of your evenings, your weekends and even your dreams. If you want to be a happy teacher, do yourself a favour and ring-fence some time for you. What do I mean by ring-fencing? 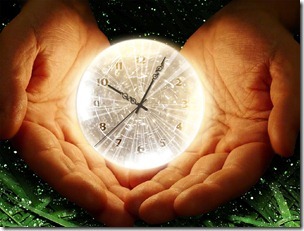 Essentially you protect a portion of time and treat it as sacred. No matter how busy school is, no matter how long your to do list, that time is for you to spend doing whatever it is you like to do to unwind (according to this piece in the Guardian, that might be anything from collecting shopping lists to sculpting but I rate sleeping pretty highly). Over the years I’ve tweaked the arrangement a bit but generally speaking I ring-fence one evening in the week and a whole day at the weekend. Maybe that’s why I’m still enjoying my career nearly a decade in. I love teaching but I have a life beyond the limits of my classroom. Of course you have to be good at compartmentalising for this to work. If you spend all of your ring-fenced time worrying about the work you’re not doing, it’s all been for nothing. I’ll let you into a secret that might help you to let go and enjoy this work-free time… Giving yourself time to relax, and therefore less time to work, can actually make you more productive and efficient in the time that you do dedicate to working. Instead of feeling perpetually tired, and possibly resentful, you’re more likely to have a fresh head and a bit of enthusiasm. All too often I see teachers burning themselves out. The received wisdom seems to be that it’s OK to work like a mad thing during term time because we’re all looking at the carrot dangling from the stick on the horizon – half term, Christmas, Easter, Summer – and deferring our rest and recuperation*. The problem with this is that teachers often make themselves ill, and if not ill then miserable, by the end of the 6, 7 or even 8 weeks of term (Autumn Term is a killer). I certainly don’t want to spend my half term cradling a mug of Lemsip and waving my fists in the air at the injustice of it all. Attempting to get a work-life balance during term time will make you a happier, and healthier, teacher. * A teacher at a school I taught at would, at the full staff meeting at start of every term, faithfully tell us how many teaching days we had left until the next break.